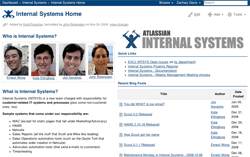 Atlassian is an Australian Software Company that specialized in Collaboration and Development Tools. Atlassion has over 15,600 customers from more than 138 countries around the world. Many of them are from fortune 1000, public enterprise, academic, science and technology sectors. Atlassion is a software company that supports and believes in Open Source movement, their software always free to use in Open Source Project. Several product of Atlassian software such as JIRA, Confluence, Studio, FishEye, Crucible, Bammbo, Clover, and Crowd is genuine Atlassian products and support by open source code. They always enthusiastic in new software development, after successful released of JIRA and other software’s, they are developing new software “agile development” today. JIRA is great software for conducting and planning of Agile Software Development. It’s always an issue when software development begins, how can you find efficient way to track, manage and fix issue in a software development? JIRA is one of great software to track issues fast, painless and simple. Why JIRA? JIRA simplifies every step of tracking, reviewing, and resolving issues in a snap, JIRA also supporting complex project management while everyone are involved. In resolving issues, resolving code is always a key, JIRA can help developer interact with each other’s and making integration with other systems very simple. You can read a case study of utilization JIRA for bug tracking by Cochlear Case Study. Cochlear is a medical manufacturing, implant industry in Australia since 1982. They said that have generated significant return on investment when using JIRA. Code review process has been reduced between 50 and 80 per cent. After download 30 day trial from JIRA, Victor Rodrigues – Cochlear Software Manager found JIRA is very easy to install and proceeded to work very easily. JIRA is easy and intuitive to use, simple but comprehensive graphical interface. JIRA is also making integration with other systems very simple. It took less than two days and a couple of postings on JIRA's user group forum to integrate successfully with the source version control system. Lately, Cochlear has 371 JIRA users, 30 JIRA projects, and solved 13,500 issues. JIRA great software indeed, these are the reasons why many company such as Yahoo, Adobe, Boeing, Extrade, Apache, Disney, BMW, HSBC, Cisco, Honda, Oracle, Sony, etc are become customers of Atlassian. Customers of Atlassion are came also from Government, Universities, Health & Biotechnology, Banking Finance, Fortune 500, Telecommunications & Media, Professional, Game Developers, Consulting, Non-profit, Open Source project and Technology Corporation. Atlassian has over 195 employees worldwide in Sydney, San Francisco and Amsterdam. In 2006, Mike and Scott were awarded Ernst & Young's Entrepreneur of the Year award for Australia. Atlassian is also recognized as Australia's fastest growing business by BRW Magazine three years in a row. 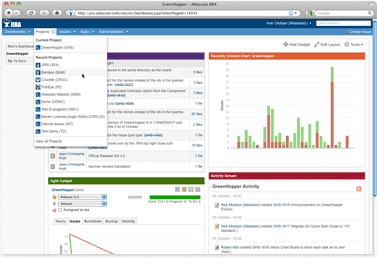 Today, JIRA is also developing new software agile tools, let’s see and get started with JIRA, www.atlassian.com.